Well, “August’s Gardens” made its big debut a few months ago, so I guess it’s time to talk about what I’m up to next. I’m putting down the Phantasmagories series for now and setting to work on a few more personal projects. There are three already in the works and a lot of ideas waiting in line. I think the project you will be likely to see first is a collection of short stories. They are all horror stories loosely based on intrusive thoughts related to my OCD. Don’t worry. When I say loosely, I mean very loosely. You wouldn’t be able to tell the thought inspired the story, but I can tell and it’s part of my therapy process. A few stories are completed already, but I’ll be taking my sweet time with everything from now on, so please be patient. Another project I am working on is a book I started in my early twenties about a group of friends who has some seriously messed up experiences. I’m not sure where I’m going to take it from my younger self, but I’m in the process of getting it all off typewritten pages and onto my laptop. Lastly, I’m working on something of a memoir about my life with OCD. It will include anecdotes from other mental patients, professionals and more. If it’s not interesting, at least it will be painfully funny. Anyway, that’s it from me for now. I’ve got a lot of work to do and the rest of my life to do it. (Boston, MA) July 18, 2015–In one month, August’s Gardens, the follow-up to fantasy horror novel Morrigan’s Shadows, will be released. In the interim, readers, fans and press can find teasers, reveals, interviews and much more across author Michelle Barclay’s social media and on her website. 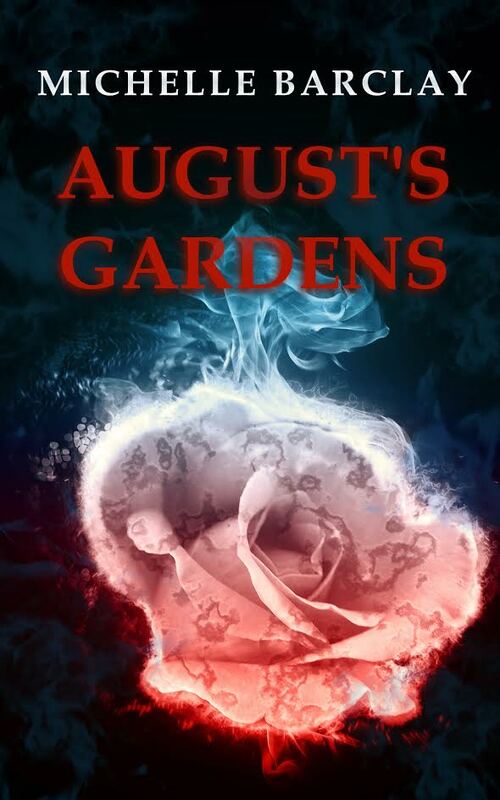 August’s Gardens launches on August 18, 2015. The launch will correlate with a widespread virtual book tour. Bloggers, journalists, and professionals can reach Michelle at [email protected] for advance review copies and more information about the series. August’s Gardens will be made available at all major book retailers in both paperback and eBook formats. Michelle Barclay is the author of Morrigan’s Shadows and the horror novella Rot. She lives on the South Shore in Massachusetts with her husband. I am going to keep “Rot” available free in its digital format. You can still download it at Freeditorial anytime in a few formats. However, that is a very minimally formatted version of the book and it does not include the cover. I am working on specifically formatting the story for Amazon, so you can download it to your Kindle in more than just a rough format and with the cover art. I will update the site as soon as the new version becomes available. Thanks for reading! Update: It turns out that I cannot post my story permanently free on Kindle. However, I am going to charge the lowest possible price. I will still have other download options and I will see what I can do about just posting it on my site or something simple like that for you guys. Hi, Reddit. Casual readers, you can ignore this post for now. It is proof for a Reddit IAmA. I will try to remember to update it with the official time of the Q&A as soon as I have it.